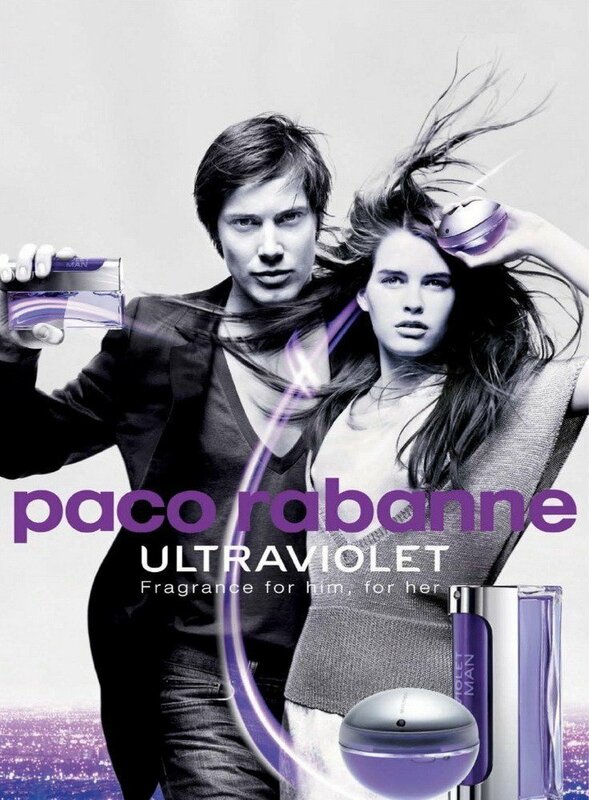 Ultraviolet Man (Eau de Toilette) is a perfume by Paco Rabanne for men and was released in 2001. The scent is sweet-synthetic. It is being marketed by Puig. First: I hate "One Million", yuck, gross! ;-) UM by Paco Rabanne however is one of the oldest fragrances in my collection. I have often received compliments from the female side because of him. What more do you want? I don't wear it as often nowadays, but this is due to my curiosity for new things and my collection, which has grown considerably in the meantime. But I will always fall back on UM. For me, this EDT is a constant, but I prefer to apply it in the evening rather than during the day. I would describe the scent as quite linear. Minty freshness cushions a certain basic sweetness. Both very pleasant. Perhaps UM could therefore be described as the Wrigley's of fragrances, although I don't think specifically of chewing gum when I smell it. UM awakens very few associations in me that make me think of familiar things from the kitchen, bathroom or nature. I mean that as a compliment, because this fragrance stands alone. What is behind the fragrance type "synthetic" has not yet become quite clear to me. I may still be too lifeless! ;-) The fact is that most flavouring substances are nowadays synthetically produced. In this respect, this is neither a knockout nor an okay criterion for me. I just wanted to get rid of that. My boyfriend has this EDT, so I can write a bit on how this projects on others. 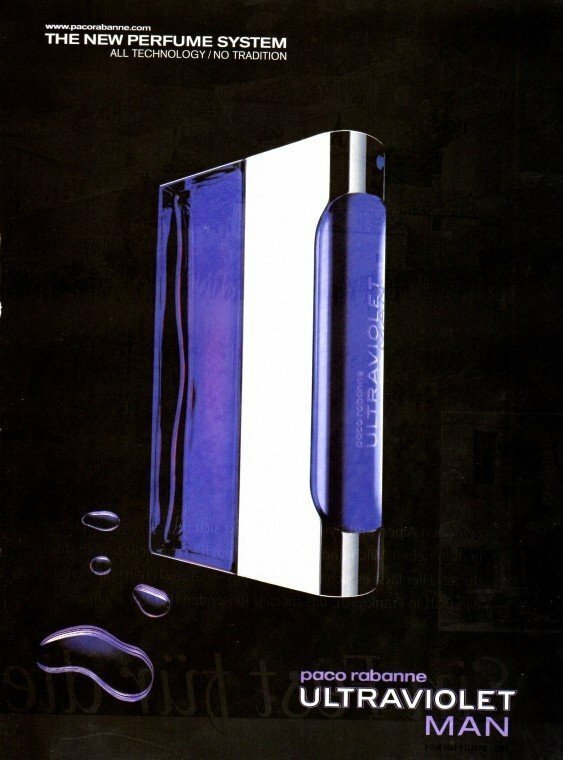 All and all, this is a fragrance that starts as green/fresh with a great opening, and it turns into sweet/synthetic. It leaves a very nice, soft, and pleasant skinscent. Longevity is quite good, and sillage is quite soft, which is a good thing for these type of fragrances. Minty Fragrance. Nice smell, Stylish Bottle. It stays 5 to 6 hours on my skin. Projection is good, Longevity is also good. I get many compliments. But do spray on cloths for more projection. 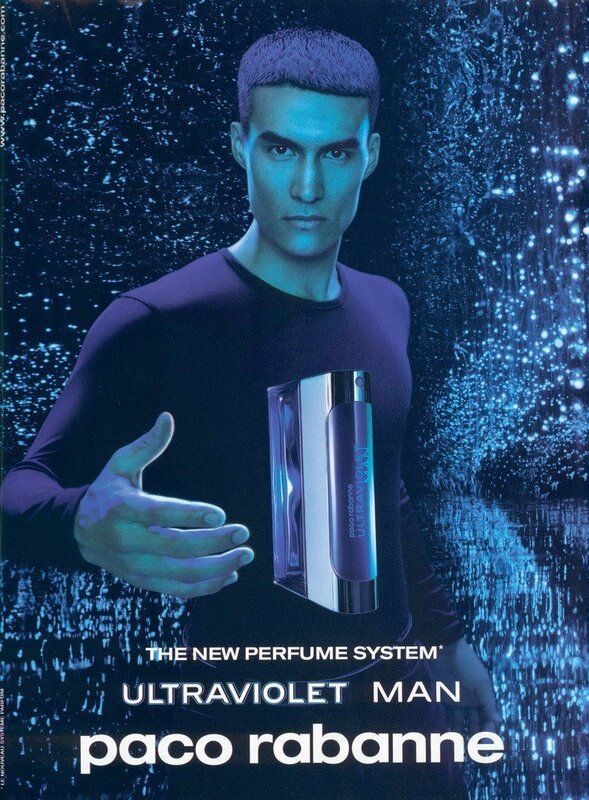 Write the first Review for Ultraviolet Man (Eau de Toilette)!